The Coast Guard has issued a Request for Information for a solution to our inland cutter needs. I have copied and pasted the brief description below. The Coast Guard has a statutory mission to establish, maintain, and operate maritime aids to navigation to serve the needs of the armed forces and commerce of the United States. This Request for Information (RFI) is the first of several planned industry engagements aimed at developing the data the Coast Guard needs to make informed decisions about potential solutions to carry out this mission. The Coast Guard has historically accomplished this mission via a fleet of Coast Guard inland vessels. However, this RFI does not presume a specific solution and is not a statement by the Coast Guard that a final solution has already been identified; it is only one part of an overall effort to better understand the decision space. Responses to this RFI shall be submitted to Jennifer Sokolower at Jennifer.G.Sokolower@uscg.mil. This special notice is for market research and planning purposes only. It does not constitute a solicitation and shall not be construed as a commitment by the Government to award a contract from responses to this announcement. Any information submitted by interested parties is strictly voluntary and no monetary compensation will be provided for response preparation. This is a “Request for Information (RFI)”. Correct, I will change wording. Sounds like it may be the same thing, but it just showed up on the CG-9 Web Site. The Coast Guard today released a request for information (RFI) to gather additional information about potential solutions for the waterways commerce cutter (WCC) acquisition program. The service is seeking information on the state of the market, including configurations, components and systems that are currently in production or in use along the inland waterways. The RFI also seeks to broaden the Coast Guard’s understanding of domestic shipyards’ capabilities and experience in designing and building assets that may meet the Coast Guard’s requirements for the WCC program. 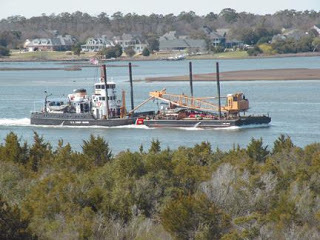 The WCC program is recapitalizing the Coast Guard’s inventory of inland cutters, which is on average more than 50 years old and consists of nine classes and subclasses. The RFI, the second of several planned industry engagements to inform program decisions, is available here. “The WCC program is gathering information – including methods for reducing cost and improving procurement and sustainment processes – to find the best value solution to fulfill the Coast Guard’s requirements,” said Aileen Sedmak, program manager for the WCC acquisition program. The deadline to submit responses is June 29 at 1 p.m. EDT. Following the link above, I found there have been three requests for information on related topics.